The all-new aluminum two-seater sports car will debut in production form at the Paris Motor Show in September. Jaguar has put us through the ringer with the new F-Type, revealing it first as the C-X16 concept at 2011&apos;s Frankfurt Auto Show, later announcing the roadster&apos;s official name before releasing a barrage of teaser shots and videos of the car in camouflage form. It even made a flesh-and-bones appearance at the Goodwood Festival of Speed last month. The wait, however, is almost over, as Jaguar today announced that the new F-Type will officially debut in production form at the Paris Motor Show next month. "The unveiling of the F-Type in Paris will be a truly significant day in Jaguar&apos;s history," said Jaguar exec Adrian Hallmark, "as it will mark the company&apos;s return to the sports car market, a market it originally helped to create." "As its sporting forebears did in their era, the F-Type will break new ground by delivering stunning sports car performance while vividly demonstrating Jaguar&apos;s cutting-edge engineering technologies and world-class design excellence. The next step in Jaguar&apos;s sporting bloodline is about to become reality." 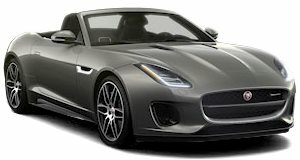 Initially to be launched as a convertible, the F-Type will come with three gasoline engines: 340- and 380-horsepower variants of the all-new 3.0-liter supercharged V6, and a new derivative of the supercharged 5.0-liter V8, the output of which is being kept under wraps until Paris.